Dr. Aflaki completed his training at the prestigious Johns Hopkins Plastic & Reconstructive Surgery program. Having been trained by the leaders in the field of Plastic Surgery, Dr. Aflaki has gained tremendous experience and skills in a wide spectrum of Aesthetic and Reconstructive Plastic Surgery procedures of the face, breast, and body. Dr. Aflaki completed two years of Plastic Surgery research at the Laboratory of Tissue Repair and Gene Transfer at the Brigham and Women’s Hospital, Harvard Medical School. He then did an internship at the Brigham and Women’s Hospital, followed by a full General Surgery residency at the Mount Sinai St. Luke’s-Roosevelt Hospital Center in New York City. He is board certified by The American Board of Plastic Surgery and board certified in General Surgery by the American Board of Surgery. Subsequently, he completed a Plastic Surgery fellowship at the Johns Hopkins Hospital before joining the Plastic Surgery Services of Fredericksburg. Dr. Aflaki has published papers in the Plastic Surgical literature and presented his research at the local and national meetings including Plastic Surgery Research Council (PSRC) and American Society for Reconstructive Microsurgery. He has won numerous awards throughout his professional training. He was the recipient of Joseph E. Murray M.D. resident research award for the best scientific paper from the New England Society of Plastic Surgeons (NESPRS) in 2008. He also won the Plastic Surgery Education Foundation (PSEF) Scientific Essay Contest 1st prize in Art and Science category in 2009. Dr. Aflaki’s special training and interest include reconstruction of the breast following breast cancer using both implant and autologous (patients’ own) tissues, including microsurgical techniques (i.e. DIEP breast reconstruction). Dr. Aflaki is a firm believer in a multidisciplinary approach in taking care of cancer patients. He works closely with other physicians and healthcare professionals to optimize the results. 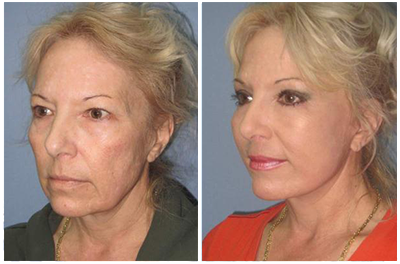 Dr. Aflaki specializes in reconstructive and cosmetic procedures of the face, including facelift, neck lift, brow lift, rhinoplasty and other non-invasive injectables techniques, including BOTOX® and fillers. In addition, he specializes in the “mommy makeover” spectrum of procedures to rejuvenate the breasts and body following completion of child-bearing: breast lift, breast reduction or augmentation, tummy tuck (abdominoplasty), and liposuction. Dr. Aflaki believes that the role of the plastic surgeon is first to listen to the patients’ concerns and then develop a multidimensional individualized plan that is specifically designed to achieve their goals. He is a dedicated clinician and strives toward perfection in every procedure he performs. He treats his patients as if they were his family or close personal friends. His attention to detail sets him apart. Dr. Aflaki is involved with teaching and stays up-to-date with the medical literature by participating in academic Journal Clubs and national Plastic Surgery meetings. He enjoys writing and sharing his clinical and surgical experience by publishing in Plastic Surgery journals. Outside of surgery, Dr. Aflaki pursues physical fitness and is an avid marathon runner. He is a family man and lives with his wife and two children in the suburbs of Washington DC.